We're welcoming Keith Sheppard and Lisa Dodds to Armagh for our next meetup! For 'What's Your Motivation? ', our guests will discuss what drove them to set up their businesses, Keith Sheppard Glass Artistry and White Chalk Studio. As creatives, business owners and freelance workers, we constantly need to find the motivation to grow and develop, get inspired and push on through the highs and the lows. Motivation helps us to achieve our vision of success. Lisa and Keith will talk about how motivation applies to them and their creative practices, sharing advice and experience of creative entrepreneurship along the way. There will be a chance to contribute to the conversation, mingle with other creative businesses and we'll have some nibbles too! This will only be used to contact you in case of any last minute changes or cancellations. Based in Moyallan, Co. Armagh, Keith Sheppard established his glass art studio in 2012. He is a relatively new artist, having undertaken training in England and Ireland over the past 6 years after a life-changing injury. 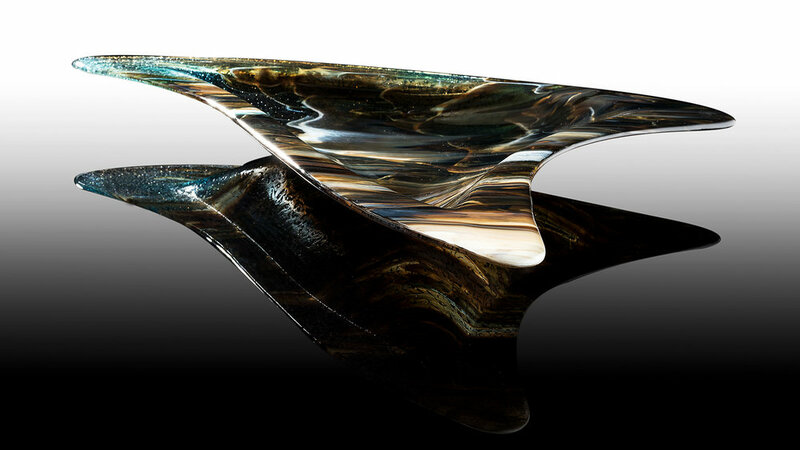 The resulting business, stemming from his recently developed skills, specialises in the production of kiln formed glass art and focuses on the development of high-end bespoke functional and non – functional pieces. His work predominantly involves the infusion of metals into glass, which gives each piece a further dimension of uniqueness and identity with enhanced vibrant colourations. Most recently he has been involved in creating individual unique sculptural pieces for galleries such as the renowned Cecilia Colman Gallery in London, and private commissions from the likes of Hilton Hotel Group. Lisa Dodds started her career as an Interior Designer after graduation from Duncan of Jordanstone College of Art and Design. After the recession altered her career course, she turned her attention to making and selling and after some years of development, set up White Chalk Studio. 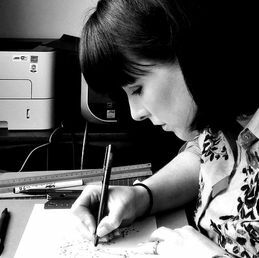 Based in Banbridge, her practice focuses on illustration and making unique, individually-created prints. Her signature designs often feature metallic detailing and iconic imagery, whilst the influence of her previous career is evident in her passion for line, form and texture.